New Orleans If you live within 50-miles of a nuclear power plant, then count yourself part of the majority of the US population, since that’s the case for 65% of us. On the other hand, you may not want to hear all about this, but folks with the Union of Concerned Scientists and Princeton University wrote a piece in the recent issue of Scientific American that scared the stuffings out of me. 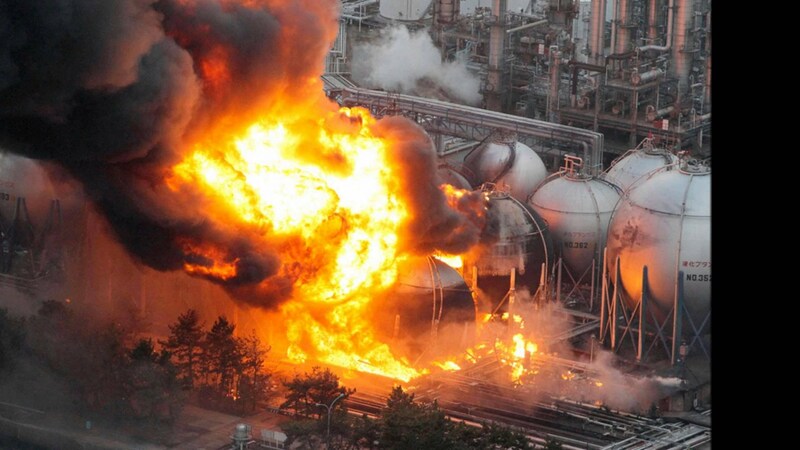 These scientists were looking at the risks posed by the handling of spent fuel and in the wake of the Fukushima nuclear accident in Japan in the wake of the earthquake in March 2011, are now making the case that the Nuclear Regulatory Commission (NRC) did not go nearly as far as needed to assure citizen protection for a potential US disaster. The NRC did a safety review and ordered some safety upgrades, but the scientists argue that they “rejected … a measure to end dense packing of 90 spent fuel pools, which we consider critical for avoiding a potential catastrophe much greater than Fukushima.” I visited the Fukushima area several years after the disaster to try and learn the lessons from that disaster and compare them to what New Orleanians had learned from Hurricane Katrina in 2005, so I found all of this unsettling especially since it is six years after Fukushima and some families are only able to return now, and some will never be able to do so. Here’s the deal. These spent rods are put in cooling ponds for a few years until they can be moved to dry storage casks safely. In the US, the NRC allows them to be kept in this way semi-indefinitely until a “geologic repository…becomes available.” The operators therefore pack the rods in the pools like sardines in order to keep their costs down, but of course that also increases the risks “about 50 times as much as the corresponding values for a fire in a low density pool,” in the NRC’s technical analysis. Yet, the NRC didn’t order a change, which ought to scare the fiery hell out of all of us. From there it’s all a dogpile of problems. The NRC didn’t look at terrorism. Hey, what could happen? They didn’t look past 50 miles to the other 35% of the US-population that might be worried. They claimed that disaster areas would be repopulated within one-year, which doesn’t fit either the New Orleans or Fukushima experience. The NRC also “assumed radiation dose standards for population relocation that were much less restrictive than those recommended by the EPA.” The scientists estimate that if EPA standards were used “the average evacuated would increase about threefold.” Using the right figures, the NRC cost-benefit ratio would favor moving, which means making the industry pony up about $50 million per plant or $5 billion overall. They go on and on from here, and, trust me, it only gets worse, and I think you get the message. It also helps to do the math here, since it’s not like nuclear power companies don’t pass the costs on to consumers. I stand second to no one in wanting to keep utility rates down, but when you divide $5 billion by 170 million people minimum that might be affected if the NRC’s pattycake with industry doesn’t play out in our favor, then the cost would be about $29 and change. Come on, let’s get serious about this before it’s too late. Where can I send my check today? Please enjoy Art Carter’s Mighty Mississippi. Thanks to KABF. This entry was posted in Ideas and Issues and tagged disasters, Fukushima, Japan, NRC, nuclear power plants, Nuclear Regulatory Commission by Wade. Bookmark the permalink.